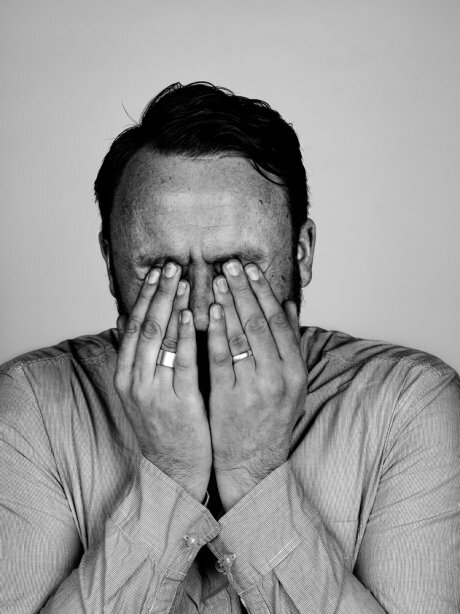 The festival's MC is the marvellous John-Paul Flintoff, campaigner, maker and author of 'How to Change the World' and 'Sew Your Own'. John-Paul will take to the beach to introduce a stellar line-up of speakers including Tom Kay, founder of Finisterre, Tim Smit, Vice-Chairman and Co-founder of Eden Project, Justin Coghlan (JC), co-founder of Movember Foundation, Chrissy Levett, founder and creative director of Creative Conscience and Natalie Fee founder of City to Sea, plus many more. Over the years I’ve been to dozens of events exploring sustainability and ethical living, but often their corporate angle has left me feeling uninspired and disconnected. In contrast GoodFest has a firm focus on using creativity for good which is totally up my street. The diverse group of speakers at GoodFest illustrates that everyone can be creative: each has forged their own path, finding ingenious, often quirky solutions to today's problems; solutions that inspire others to follow or to carve out their own creative path for good. What was the inspiration for GoodFest? I’ve been to many “conferences” in my time, they are all interesting, all have interesting speakers, saying interesting things but the venue zaps the energy out of you. So it’s hard to get really inspired. Then (when I was living in Sydney) I was asked to talk at the Emergence Creative Festival in Margret River (Western Australia) situated right next to the beach and everything changed. Finally a creative festival that felt like it was run by creatives. Small but big enough. Inspiration at every turn. Sand between my toes. When my wife and I returned to the UK - and settled in Bristol - she said wouldn’t it be cool to have something like that over here. And the idea of GoodFest was born. How did you choose the location for the festival? Well Claire’s original idea was to have it in Bristol. But my worry with that was that it was too big. Bristol is an awesome city, but a festival like this might get swallowed up. It needed to be small and beautiful, but with a good environmental outlook and a great creative vibe (like Margret River) - and maybe some chance of sun. So Cornwall was the obvious choice. 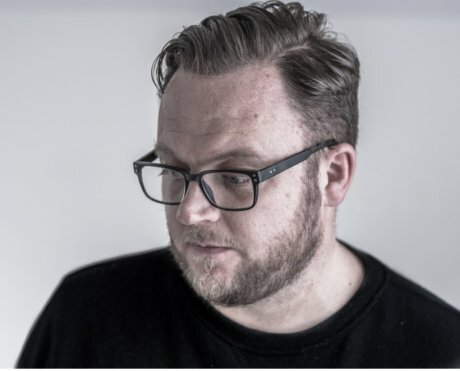 I talked to my good friend Thad Cox a designer down there, and weeks later GoodFest was more than just a word, it was a living breathing 'creative festival for good'. The team of Laura, Matt, Claire EB, John and Martin (as well as Thad) suggested Watergate Bay in Newquay. It encapsulated what we wanted for the festival and with space for a 200 person tent, we knew we have all the makings of a very special creative festival. Who is GoodFest for and why should they come? GoodFest is for everyone who loves ideas. Great ideas. World-changing ideas. It’s for those who are already ‘walking the walk’ when it comes to ethics and purpose, but more importantly it’s for those who want to do good. We have asked 20 “Greats of Good ‘to talk or run workshops there, so hopefully their knowledge and stories will inspire more people to create the world they want to live in. When did you become interested in conscious fashion? I’ll be honest, like many blokes (and women) my understanding of what my clothes were made of and where they came from was very limited. But ignorance is not an excuse. My eyes were opened when I read in an article that fashion was the third most polluting industry in the world, which scared me. So I made a film about it. A problem-solving film that attempted to give options. Slowing Down Fast Fashion is now being played around the world. I’ve always believed fashion should be fun, exciting, expressive, reflective - so if you are conscious with your food and recycling habits, why not be the same with your clothes? 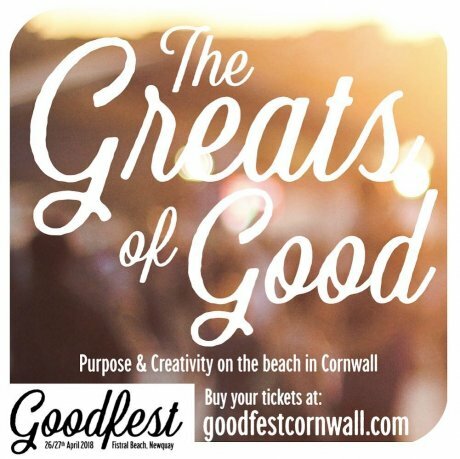 To find out more about GoodFest and to book tickets visit www.goodfestcornwall.com. Please note: this post was edited on 12th April as the festival has been postponed until September 19th - 20th and will now take place at Watergate Bay.